Vuix Help Center: What is a User Request? A User Request has three main parts: the name, the phrase(s) the user says, and the linked App Response spoken by the Voice Platform. A User Request is a list of commands the user can say to initiate an App Response from the Voice Platform. This is the User Request icon. Add a name for User Request that indicates what happens at this step ("Order Status Confirmation"). 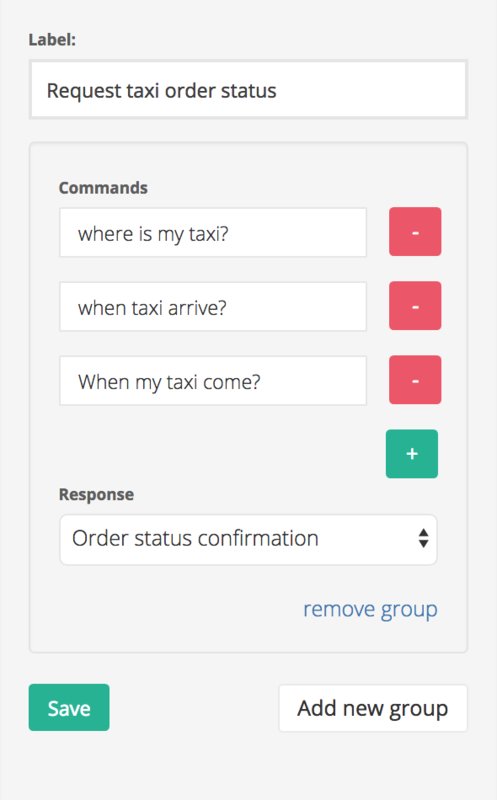 You can add different commands under each User Request to accommodate the different ways a user may respond the same thing ("When my taxi come?" and "Where is my taxi?") to get to the same App Response. Also, you can add different commands to get to different App Responses ("Yes" goes to one response, "No" goes to another). When you create your first Request, you will leave the dropdown blank, since you don't have any Responses to link to yet. Still confused? Learn more about the project process here.